Former heavyweight contender Dereck Chisora has tipped ex-WBO heavyweight champion Joseph Parker 24-1 (18) to beat up his countryman Dillian Whyte 23-1 (17) when the two clash at London’s O2 arena on July 28. 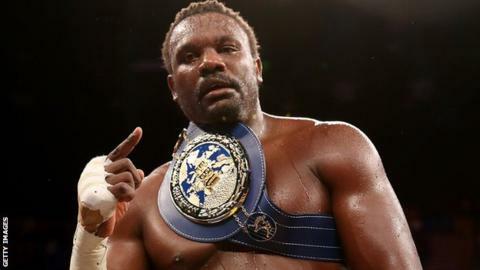 The comments come as no great surprise after the controversial result of the fight between Chisora and Whyte in 2016 that was awarded to the 30-year-old “Body Snatcher” by split decision. Last month they clashed at ringside at the Tony Bellew versus David Haye fight, with Whyte retaliating by blocking “Del Boy” from his social media accounts. Meanwhile, Parker this week revealed that a potentially fatal brain injury suffered by his brother and fellow boxer John was diagnosed during the lead-up to the Anthony Joshua fight. The 26-year-old Parker, who is very close with John, was giving the news almost in passing by his father Dempsey. John, a talented former amateur with three pro bouts under his belt, was scheduled to fight on the undercard but was quickly withdrawn after the results were known. There were concerns at first that the news might negatively impact Parker’s performance against Joshua, but the former WBO champion turned in a classy performance despite being outboxed down the stretch. “I called Bryan and found out that John had had an MRI scan which showed an aneurism in his brain which is like a little blood clot,” said Parker. “We looked it up and found out it was life threatening if the little bubble popped because you’d bleed out in the brain … and potentially die. “I’m gutted he’s going to miss the fight but I’m so happy he’s not fighting. We’re going to fix this. Joseph Parker: Metamorphosis will screen in New Zealand on Sky Sports 3 on Monday, July 2 at 8:30pm.